Last night Benzo picked the first real harvest of 2010. The harvest was not from surprise plants that just popped up this spring from seeds that were scattered by dead plants at the end of last season. And the plants weren’t leftover from a late planting last fall that somehow survived the winter. No these were seeds that were planted in March and have finally come to fruition. Gorgeous! We ate some right away last night. 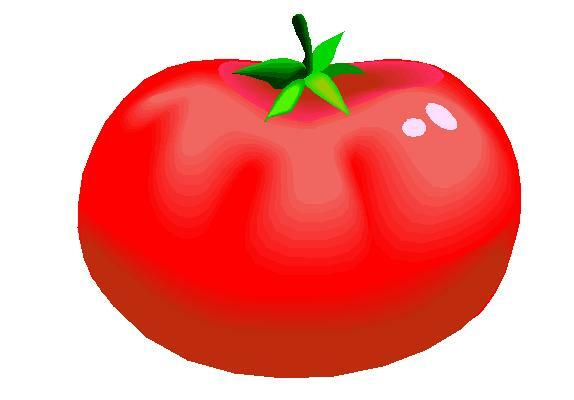 Boy were they spicy! At least to me anyway. 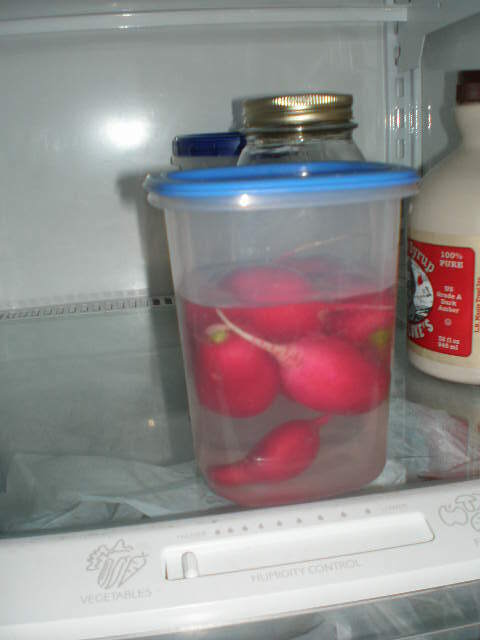 Once radishes are washed and trimmed, I like to store them in a container of water in the refrigerator. I think the water helps keep them crisp. Garden season is officially open! I should be picking lettuce and spinach very soon! Your radishes are lovely. I just pickerd my first bunch this morning, but they weren’t nearly the size of yours. I appreciate the tip about storing radishes in water. Thank you. I’m going to use that method. Oh my goodness those are gorgeous! I actually did my first harvest last night too only it was leeks that I wintered and of course herbs. Pretty soon I’ll be enjoying my lettuce crop. I saw your leeks! I want to overwinter some stuff this year so I’ll have to get some tips from you. 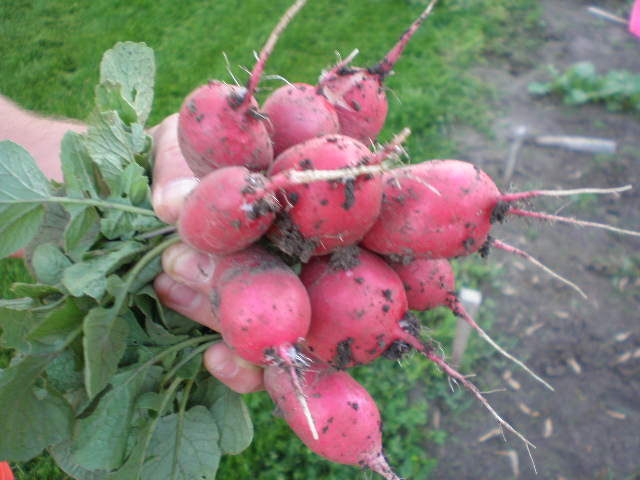 I think mine are slow growing radishes…lol. They’re just now starting to fatten up! Yours look fabulous!